Transit to natal declinations, and progressed to natal declinations, and a list of declination positions in the chart wheel, as well as the parallels of declination. You can also obtain midpoint structures in declination and a graphic ephemeris in declination. Intermediate House Cusps: Intermediate house cusps can be removed from chart wheels while keeping the angular house cusps in the wheel. You can also remove the intermediate house cusp positions from the outer edge of the wheel. 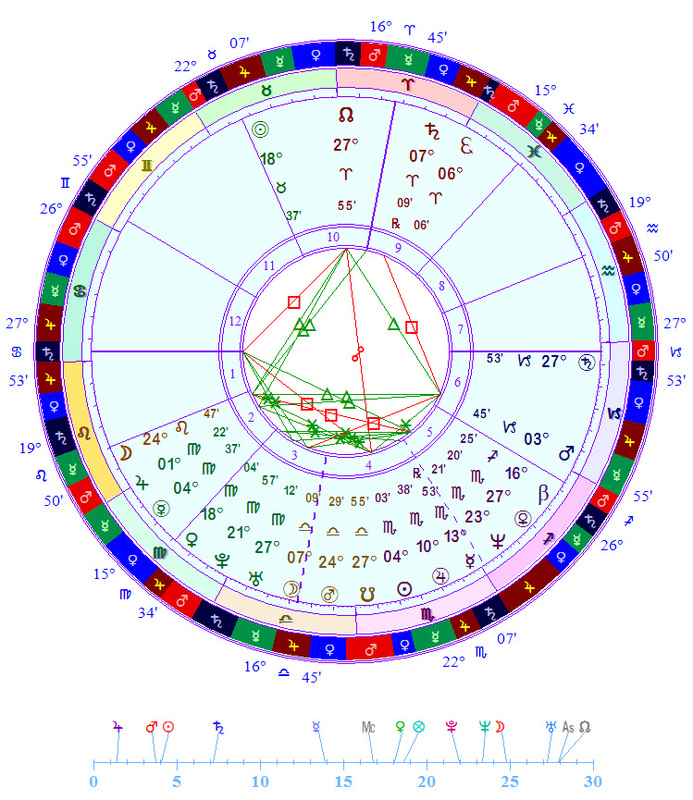 Modern Methods: Composite charts of 3 or more charts, Phase Angle Returns, transiting and progressed 4-planet combinations, aspects in the transiting/natal composite chart, etc. are among a few of a great many new advanced modern features. Parans: A list of the latitudes where parans occur, with major cities also listed. 4) select whether to include the 4 major asteroids and whether to include Chiron in the listings.